The first episode of Resident Evil: Revelations 2 is out today. If you're like me that, means you'll play through it in one sitting, and be left wanting more. With the second episode still a little over a week away (March 4), you'll have to get your horror fix somewhere. That's where these eight games come in. You can play through any of these to keep your horror cravings at bay. Got a favorite of your own? Tell us in the comments! 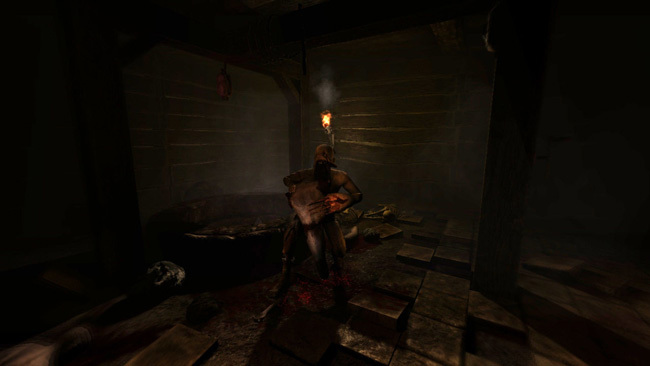 In Amnesia: The Dark Descent, you're exploring a scary castle from a first person perspective. When you hear or see a monster, you don't move to take it on. Instead, you have to find a way to avoid it, as there are no weapons available to the player. Not only do you have to make sure that you keep yourself alive, you also have to manage your sanity. Staying in the darkness, witnessing disturbing events, or staring at enemies for too long will drain your sanity. The lower your sanity, the more surreal and disturbing the environment becomes. It's a game that loads you with stress, and then makes you run away instead of taking it out on something.